We are taking steps to address traffic gridlock, one of the biggest issues facing residents not only in Vaughan but the entire GTA. Ward 4 is fortunate to have both the Rutherford GO and Maple GO stations. However, the lack of parking availability at both locations has resulted in illegal parking and GO riders receiving tickets. Working closely with Metrolinx, the regional transportation agency, we have been able to successfully negotiate expanded GO Train multi-level parking structures at both locations. 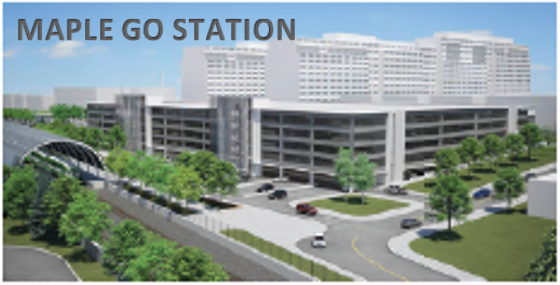 The Rutherford GO Station will enhance its current 971 parking spaces with a six-level parking structure featuring an additional 1,915 spaces, as well as a redesigned surface parking lot of 310 spaces, totaling 2,225 spaces for this station. This project will also see the construction of a 2nd platform, upgrading the existing platform to meet GO’s current design standards and a “road under rail” grade separation at Rutherford Road. To help improve traffic flow around the station, Rutherford Road will be widened from four lanes to six lanes from Wesburne Drive to Peter Rupert Avenue. 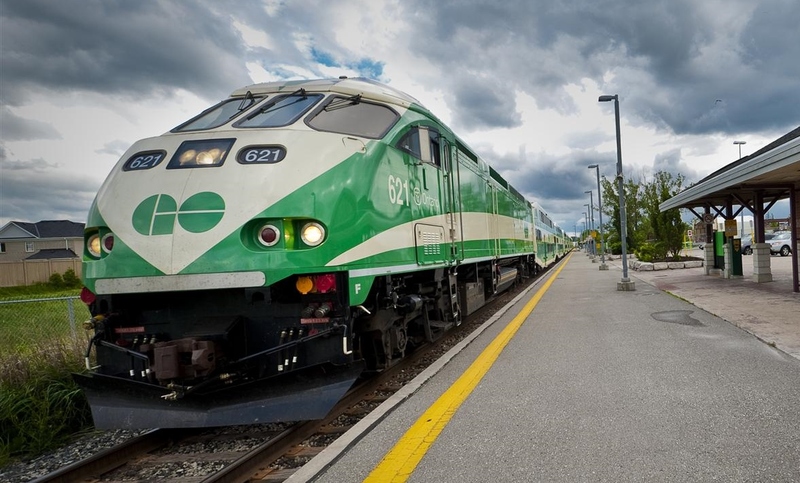 Upgrades to Rutherford GO Station will eventually allow for all-day two-way 15 minute electrified GO service between Union Station and Aurora GO Station. There will be a re-design of the surface parking, kiss and ride, bus loop and pedestrian access. 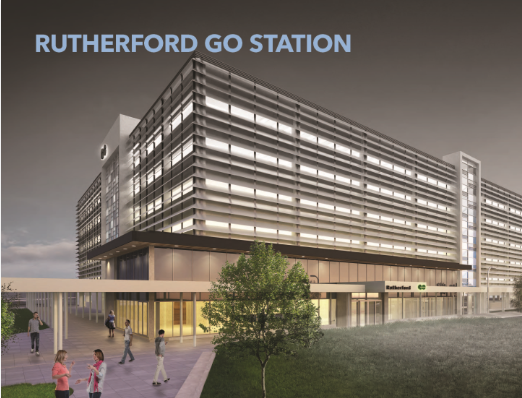 These improvements will mean better services and amenities for customers at Rutherford GO Station, allowing Metrolinx to deliver best-in-class transit and customer service. The Maple GO Station will also increase its total parking to 2,445 spaces with a five-level, 2,000 space parking structure. The project will also see construction of a 2nd platform at the station, upgrades to the existing platform and widening of the rail bridge over Major Mackenzie to accommodate three tracks. Installation of pedestrian tunnels at Maple GO were completed on May 7. The tunnel will allow customers to cross the future second track and access convenient all-day two-way electrified service. Subject to ongoing work with the City of Vaughan, Metrolinx will design a pedestrian bridge connection over the corridor at Maple GO, and the City will arrange its construction. For the rest of the station works, we’re currently in design and procurement. Construction is expected to begin in approximately Spring 2019. ← Mackenzie Vaughan Hospital – We Are Almost There!